The most useful tools for mobile web are emulators and simulators. In Chapter 4 of Programming the Mobile Web I’ve made an extensive description and installation guideline for creating a desktop mobile testing environment. And in Chapter 13, I’ve also reviewed other solutions for mobile testing, including four device remote lab solutions. I’ve mixed all this information to create this ultimate guide to 37 download resources for hundreds of emulators and simulators. Enjoy! 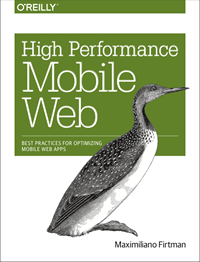 This list includes content from Programming the Mobile Web book with frequent updated information & links. Comes with XCode and Native SDK. You can’t emulate Accelerometer/Gyroscope (DeviceMotion API). You can’t emulate URI-schemes, such as click-to-call. As a Simulator, it doesn’t provide an AppStore; you can’t install other browsers for testing, such as Opera Mini or Skyfire. Requires Android SDK with 2.2 package. The download is done using the Android 2.3 SDK searching for third-party packages. Requires Android SDK with 3.0 package. It’s only a skin for the emulator. Large download and installation. You need to check previous requirements to be installed first. You can install Opera Mini, Opera Mobile, Bolt Browser and UCWEB on Symbian emulators. You can install Opera Mini, UCWEB, Bolt Browser and OVI Browser Beta on Series 40 emulators. Requires Android Emulator. There are 20 different downloads. Requires login Devices: 35 different models including series Bold, Curve, Pearl, Storm, Storm2, Style, Torch & Tour. Every model has different emulators combining OS version and operator firmware. For web browsing testing you need to install and open a proxy service. See Chapter 4 for a full compatibility table and installation guide. You can install Opera Mini and Bolt Browser on BlackBerry emulators. HTML5 browser support. Adobe AIR & Packaged HTML5 WebWorkers app support. You can also use emulators (Symbian, Android) and install the real Opera Mobile inside. You can also use emulators (Symbian, Android, Java, BlackBerry) and install the real Opera Mini inside. Download20Mb Devices: Multiple devices – beta version. You can also use emulators (Android) and install the real Firefox Mobile inside. The desktop simulator is very basic and it’s in beta state. It does not support web browsing testing. You can test and create QtWebKit apps (hybrids) with HTML5 and CSS3. It does not support direct web browsing testing. You can test and create webapps & widgets. The rendering engine is a simulation. You can use it for hybrid PhoneGap testing or for simple WebKit-based browser simulation. Included with Creative Suite (commercial) Devices: Device Library with more than 100 devices. The web browsing support up to CS5 version is very basic (just a sized webkit browser for every device) and non-accurate. * This emulator requires special attention for using the browser. Look at chapter 4 of Programming the Mobile Web for detailed instructions on how to use it. You can install Opera Mobile and Opera Mini inside the emulator. * This emulator requires special attention for using the browser. Look at chapter 4 of Programming the Mobile Web for detailed instructions on how to use it. Requires login Devices: Generic Browser Testing with a library of hundreds of devices. The rendering engine is not real. This tool simulates network requests as some mobile device and it renders the response on a generic webkit with some customization per device. Generally speaking, an emulator is a piece of software that translates compiled code from an original architecture to the platform where it is running, such as the great MAME. In the mobile development world, a device emulator is a desktop application that emulates mobile device hardware and operating systems, allowing us to test and debug our applications and see how they are working. There are also operating system emulators that don’t represent any real device hardware but rather the operating system as a whole. These exist for Windows Mobile and Android. On the other hand, a simulator is a less complex application that simulates some of the behavior of a device, but does not emulate hardware and does not work over the real operating system. These tools are simpler and less useful than emulators. A simulator may be created by the device manufacturer or by some other company offering a simulation environment for developers. If you want to download every emulator on this list you will need at least one MacOS desktop and one Windows desktop, downloading at least 25Gb of applications. Great work!! Do you know any iPhone simulator for Windows? Awesome resource list. What about test frameworks that give you remote access to REAL devices? Keynote’s MDPI and Device Anywhere for example. Thanks Steve! I’m planning a post about remote labs, like DeviceAnywhere, there are at least five remote labs, including two free ones. I believe that for the first testing or the while-developing testing, emulators & simulators are a better & simpler solutions. I agree that they are not as great as mobile remote labs for final real testing. The Qt Simulator (as included in the Nokia Qt SDK) does not require any login. Otherwise a good and comprehensive list. You are missing Firefox Mobile http://www.mozilla.com/en-US/mobile/download/. available for win,mac,lin. Thanks for all the comments and broken link reports! I’ve updated links and added Windows Phone 7 and Firefox Mobile to the list. The nice thing about the webOS emulator is that it features a host mode, which allows you to run apps, including the web browser app, in your favorite webkit-based desktop browser. Since the webOS browser is very similar to the browsers shipped with iOS and Android, you can do mobile web development for the three platforms using traditional desktop web development debug tools, such as the webkit inspector included with Google Chrome. Great work on putting this list together. Very helpful! I would like to add one emulator/simulator for your consideration. the Ripple emulator, tailored for HTML5 mobile apps, specifically for PhoneGap, WAC, and the mobile Web. Ripple runs in the browser as an extension and is a very light install. FYI, the WAC emulator is now at http://www.wacapps.net/web/portal/sdk and no longer requires a login. Is any Iphone simulator for windows?? can i get the emulator for blackberry without login?? I’m looking for something I can put up on a website so visitors can enter their web address and see how it will appear on a mobile phone. Can you suggest what the best way to go about that is? I am also looking for a proper web based simulator. EVRRY one I have looked only shows the top corner of the full web page, not the full page width (with no scrolling), as it would be in a smart phone (before the user manually zooms or scrolls). I support some internal corporate applications, and we have recently developed a custom app for ipad, which has integrations into other internal tools, etc, hopefully allowing our sales people to be more productive while mobile. As it relates to support, I’m looking to substitute an emulator for actual iPads for my team-members. My question is can these emulators download and run apps from the app store like an actual device? The comments and examples all seem to be regarding emulating a website via safari. Actually, there are some simulators for the iOS devices’ WebKit around, but none of the ones I have seen so far (not even Apple’s one, to date by far the best of the lot) is entirely satisfactory. Assuming a Windows host, there is a mostly workable “iOS Web Browser Simulator” (derived from an earlier AIR application called iBBdemo2) which can be found at http://electricplum.com/products.html – I have tried only the Light (freeware) version, though. Another extremely interesting project is iEmu, an in-progress variant of the well-known QEMU engine aiming to run the full iOS firmware; its status can be tracked at the http://www.iemu.org/index.php/IEmu_Development_Status URI. Good job for all the post. We have developed an online mobile emulator that enables you to test the display of any website in many cell phones. Don’t hesitate. It’s free !!! very well done with your research, i am however curious as to whether you have actually used all of these emulators? or is this just purely research as to what exactly is available? with no reviews?? really interested, if you have another post regarding the quality of these emulators / simulators, please let me know? Nice list there but I’ve managed to get a browser running in the Bada Emulator which allows you to directly test web sites/applications. Hi Ian, can you share with us how did you managed to get a browser running in the Bada Emulator? If you have VirtualBox, the latest version of OS X I could find is OS X 10.7.3, and it is very hard, if not impossible, to upgrade to 10.7.4 to run Xcode without the upgrade completely failing. If you have the free version of VMWare, you need to buy the full version of it in order to start your Mac VM. I found OS X 10.7.4 for VMWare, which is what the next-to-most recent version of Xcode needs to run. thank you Max (and numerous contributors). Any thoughts about browserstack.com? How do they fit into the picture? Is there any emulators other than Windows Emulator for Windows OS Mobile testing? First let me say that I’m purchasing both books today and look forward to reading. Secondly, I work for a large retailer that launched our mobile site in 2011 and we are struggling with testing the site hence the emulator research. If you had to pick one emulator out of your list, what would be your first top 3 choices? Mary, usually with emulators you don’t have a choice. You pick the ones you need based on your current target group; for example, if you are retailer you can check stats on your own country at http://gs.statcounter.com and decide which emulator do you need. Thank you for your quick response. At this time US is splitting the market with mobile devices almost equal – iphone (43%) & android (39%) and I’ve been reviewing tools to help me QA our mobile website and I haven’t found any that really emulate all the functionality on our site. Example: many emulators do not support rotating primary or alt images. I was hoping that you could reduce the downloads by providing me with your top 3 choices that would support testing for android devices and iOS. Hi – thanks for a great resource. We are looking for a Windows Mobile emulator but we are running all development machines in Win 7 64 bit and cannot find an emulator that will work. Any ideas that would help? We would even be willing buy one if we could find it. You might like to add the Firefox OS Simulator (browser plugin). It’s currently a prototype but it is functional. Nokia has Remote Device Access via the developer.nokia.com site. An account is required, but you can remotely test on various real MeeGo, Series 40, Symbian and Windows Phone 8 devices. You might also want to mention that Microsoft has a WP8 emulator via the current SDK 8. Could you please use lowercase in your table? It’s completely unreadable. With all respect to your work. Hi @Vadim, thanks for your feedback. You are totally right; In fact in the HTML I’m not using uppercase; it seems a WordPress theme update has changed the CSS and forced uppercase there :S Thanks for sending a notice; I’ll fix it. Anyway, I’m planning to move this table to a new website soon with a totally new design.